We delivered a strong third quarter. Unless otherwise stated, comments in this announcement refer to Q3 performance. Organic revenue growth of 9.0% (9M: growth of 6.4%). Reported net revenue of DKK 17.6bn (9M: DKK 48.6bn). Price/mix of +1% (9M: +1%). Total organic volume growth of 7.6% (9M +4.9%). Continued growth in our international premium portfolio: Tuborg +11%, Carlsberg +9%, Grimbergen +15% and 1664 Blanc +49%. Craft & speciality volume growth of 29%, alcohol-free brew volume growth in Western Europe of 58%. Organic operating profit growth of 10-11% (unchanged from announcement at 24 October 2018). Translation impact on operating profit of around DKK -500m, based on the spot rates at 31 October (unchanged from announcement at 24 October 2018). CEO Cees ’t Hart says: “We delivered a strong third quarter with all regions performing very well. Our craft & speciality portfolio and alcohol-free brews continued their good momentum, and in Asia Tuborg, Carlsberg and 1664 Blanc delivered strong growth rates. Results in the quarter were further boosted by the very good weather in Western Europe. 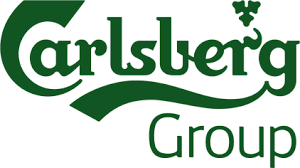 The Carlsberg Group will present the results at a conference call today at 9.00 am CET (8.00 am GMT). Dial-in information and slide deck are available beforehand via the quick links on this page.